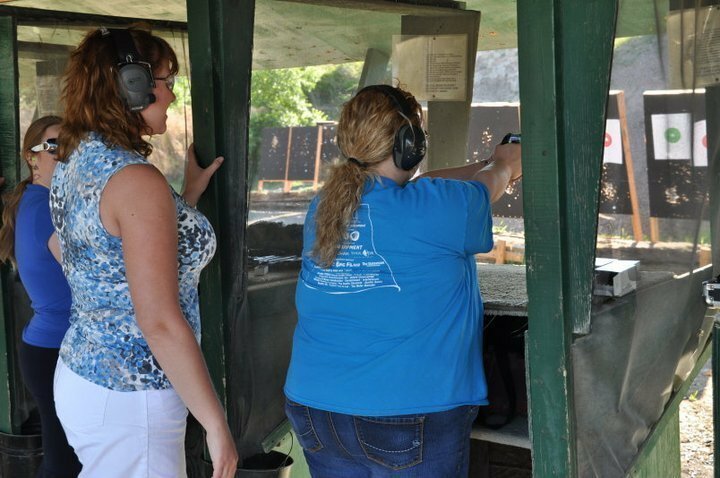 There are so many reasons why working with your firearms instructor in private training lesson is essential to achieving your shooting goals, whether they be self-defense based, competitive sports-driven or for just fun recreational time at the range. Here are six critical reasons why you should have a private session or two, or three, as well as the benefits that you are likely to achieve. You Don’t Know Where to Start. Walking into the range for the first time or wanting to go out on your own with your family can be a scary task. From choosing a gun and pairing it with the correct ammunition, to knowing the rules and etiquette, to understanding the 5 basics of marksmanship, there is a lot to know. Having a private lesson will give you an introduction to all these things and set you in the right direction to have a fun and safe time at the range. You Have a Specific Illness, Injury, or Condition. It can be as simple as mastering cross-dominate skills or learning how to see your sights again after Lasik. It might be a more complex physical limitation and you need options for how to make it work for you. It can even be an emotional road block or trauma you want to overcome. Working 1:1 with your instructor can be a very personal and private experience, be ready to answer questions so they can better understand where you are starting from and help you make the proper adjustments. You’re Not Seeing Results. Maybe you have taken a group class or had a family member teach you. At first everything was great, and you are satisfied with your target. Maybe you picked up a bad habit while working on new drills and don’t realize the mistakes you are making that are getting in the way of your progress. Having a tune up is very valuable to get back on track or in some cases change course: new gun, different ammo, change the holster, get your eyes checked, etc. Help You Set Realistic Goals. Just like any task in life, you must have a goal and plan to achieve it. 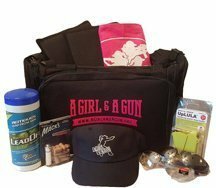 If your intent is to get your carry permit or to participate in action shooting sports it can feel overwhelming to get started. Setting goals, especially attainable goals will keep you on track. This can apply to not only continuing training with the firearm for proficiency, but purchasing gear and equipment that you need and avoiding impulse purchases you don’t need. Fit Range Time into Your Schedule. Sometimes fitting a group class or event into your schedule is not easy, especially if you work or have kid activities nights and weekends. Help you develop a Personalized Training Plan. It may not be financially possible to have a private lesson on a weekly basis, even monthly. Your instructor can help you plan for the time you spend on your own and at AG & AG events, making range time and dryfire even more productive. 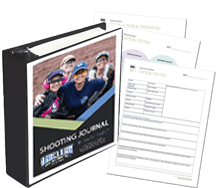 Make sure you are using your Shooting Journal to track your progress and schedule a quarterly tune up session with your instructor. If you are a brand new shooter, your private lesson will start with a “dos and don’ts” safety brief covering the 4 Rules of Gun Safety, additional rules and etiquette of the range and an overview of the firearm to include parts, functions, and fit. Be ready to talk about why you are taking the lesson, it is very important for your instructor to know your goals and motivations so they can make sure to relate the activities in the lesson to your expectations. Working 1:1 can feel intimidating with all eyes on you, but that is the sign of an excellent Instructor when the focus is on you from head to toe. Also expect the Instructor to ask permission to touch you on your back or put their hands on your hands while shooting. It is all part of the process to make sure you are in correct form. Depending on your instructor and/or facility you can expect to spend 1 to 2 hours split between the classroom and the range, and shoot 50 to 100 rounds of ammunition. Many times when learning a new skill in a 1:1 environment the brain gets “full” around the 1-hour mark. If your instructor only offers 2-hour blocks, make sure to ask for breaks and communicate if you are getting tired or overwhelmed. Have your Shooting Journal and worksheet page to record the progress of your lesson. Make notes about the type of gun(s) you worked with, distances and any other nuggets of information you found especially useful or created an “ah-ha!” moment. Taking a picture of the target is a great visual reminder of where you started and to track progress. Give yourself plenty of time before and after your lesson time. Don’t be rushed or stressed out thinking about where else you need to be. Avoid negative self-talk and shake your head “no” if you make a mistake or don’t do the exercise exactly right. This is a process. Be open-minded about learning some thing different. If it doesn’t work for you after a few repetitions, talk with your instructor about modifications you can make that are acceptable and safe. As with any physical activity you need to hydrate! You might be sore after a lesson, you will be using different muscles in arms, core, and legs. Talk to your instructor! Communication is key to making sure you get what you need from the lesson.